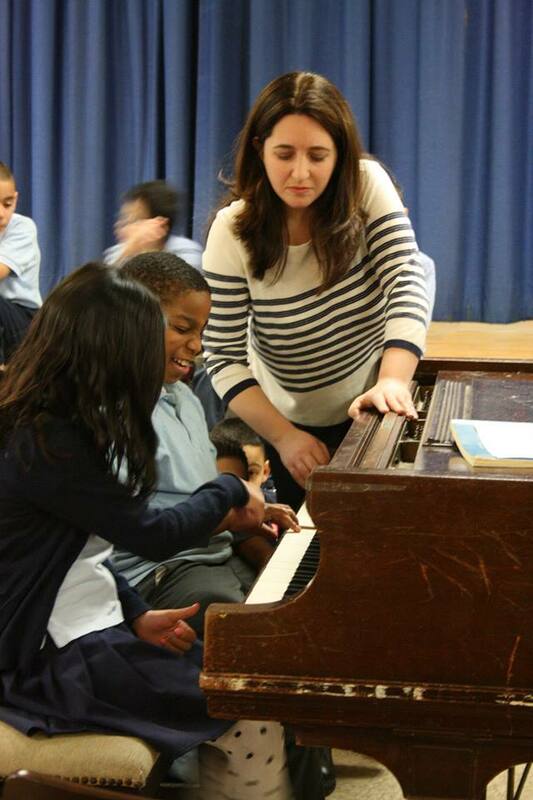 My daughter, Simone Dinnerstein, is a rather incredible person, if I do say so myself! She’s a marvelous pianist who worked very hard her entire life to achieve the success that she is now enjoying. At the age of 4 she decided that she wanted to be a pianist. We were living in Rome because my husband, Simon, had received a Rome Prize for painting. Simon’s studio was at the beautiful American Academy and we had a lovely apartment nearby in the neighborhood, Monteverde Vecchio. We enrolled Simone in a ballet class for children, thinking that she would enjoy the dancing. Little did we know that the pianist who played Chopin while they went through their dance routines would mesmerize her. She began asking for lessons but, since both Simon and I had no musical background, we thought that she was too young to study piano. In addition, we did not have a piano! The requests didn’t stop. Finally Simon asked the composer in residence, John Thow, what he would suggest and John advised us to begin her on recorder lessons. By this time, Simone was five years old. We bought her a recorder and found a lovely recorder teacher who agreed to instruct her. 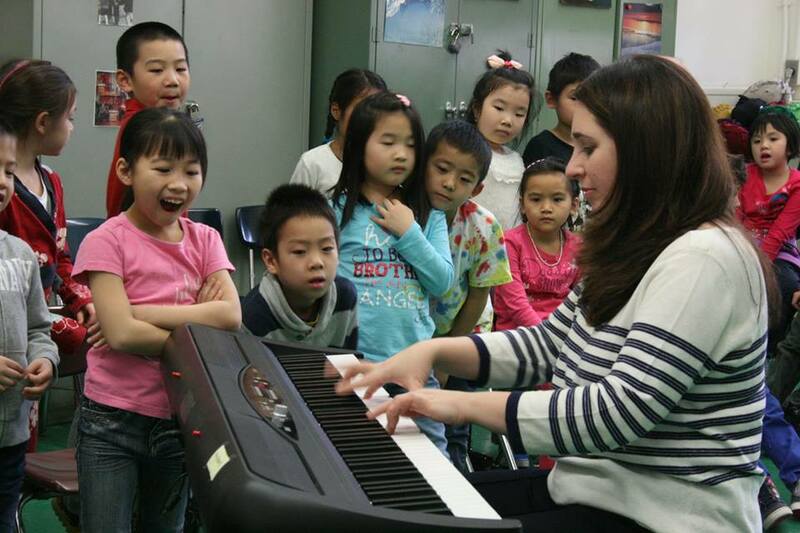 Her teacher was amazed at how quickly Simone picked up the music. She said that it was as though she had played it in another life. We didn’t return to NYC until Simone was seven but as soon as we were settled in an apartment, Simone reminded us of our promise to let her have piano lessons when we returned to NY. We brought my mother’s spinet piano to Brooklyn, found a young woman in the neighborhood who gave lessons, and Simone’s life as a pianist began. She eventually went to the Manhattan School of Music Pre-College Division every Saturday until she graduated high school where she studied with Solomon Mikowsky (without missing one Saturday! ), then to Juilliard, followed by studying in London with the renowned teacher, Maria Curcio and finally returning to NY to study with Peter Serkin. The rest of her career is well documented in many articles and interviews, so I’ll skip over that and move right on to the reason for this blog entry. I’ve always believed that it was my husband’s career as an artist that had the greatest influence on Simone but lately I’m realizing that she is also very much influenced by my career as a teacher. Simone has a deep commitment towards bringing music into the life of the community and also to the lives of young children. 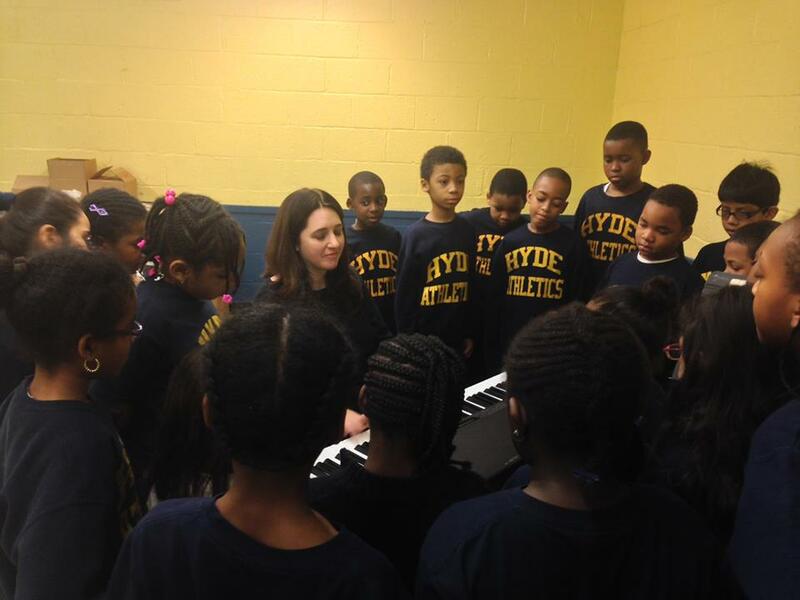 To this end she began a program called Neighborhood Classics in two New York City public schools, hoping that it will be replicated in other schools and communities. In Yiddish there’s a word that signifies filling up with pride – kvelling. I guess I’m taking advantage of my blog to do some kvelling. But beyond my pride, it’s so obvious when one sees the children interacting with Simone how easily children take to music and how much joy and fulfillment it can bring to their lives. I hope that Simone’s work in the schools might inspire the powers that be to bring good music instruction and experiences back into the public schools. 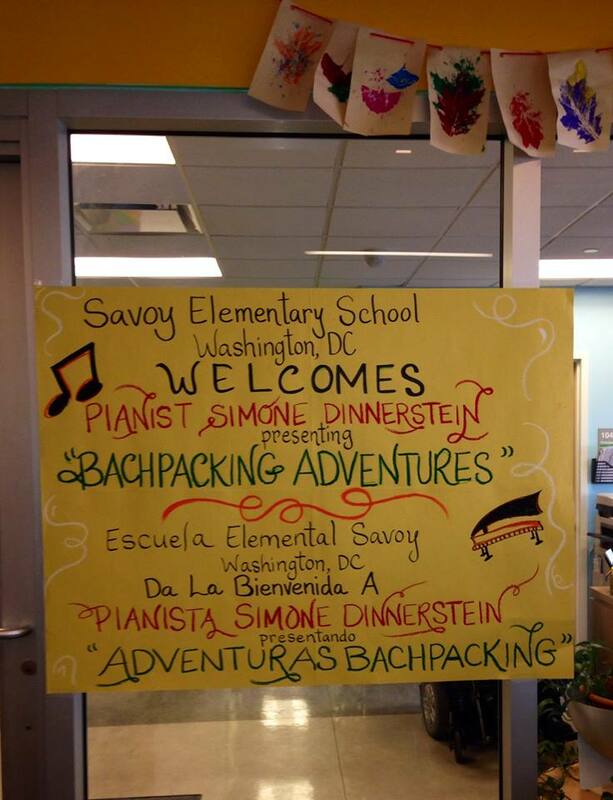 This entry was posted in Investigating Choice Time: Inquiry, Exploration, and Play and tagged Bachpacking, John Thow, kvelling, Neighborhood Classics, recorder, Rome Prize on February 22, 2014 by Renee. Your daughter is awesome! That word just fits her. She plays so beautifully and then loves what she does so much that she carries that love to children. Such lucky children they are indeed. This blog needs to be sent to my entire school district — Board of Education and Superintendent in particular — to show them why we need ART and MUSIC TEACHERS and not just getting the regular teacher to insert a bit of music or art here and there. There is no substitute for art and music teachers. We just can’t do the same job as they. And Simone is a great example of this importance. This is an absolutely wonderful experience. You must be so proud and have stars in your eyes when you rave about your daughter. Thank you Tracy. Yes I am proud of her. Her experience also emphasizes what I believed all along. Children will rise to all heights given the opportunities. The little girl in the second grade class who was so excited comes from a Latino immigrant family living at the edge of poverty. We need to have faith and trust in the abilities of all children and find ways of inspiring them and supporting their growth. It’s really about a lot more than Common Core Learning Standards. It’s about connecting with children and finding ways to excite them about learning something new…like Bach. Beautiful! Renee’s comment above also says it all. In addition to all the other wonderful aspects of this project, I appreciate the opportunities for movement it offers children, even when they’re sitting in a circle. Lots of opportunities for moving arms and fingers to boost auditory and attentional (and of course musical) capacities! Wow! I am moved by this on so many levels. It makes me think, what if our goal in education was to create experiences for children that move them, that push them to envision what their lives might be like, to engage in something they would not normally engage in? I see you, Renee, in Simone, in the way she speaks with great respect, calm and genuine care to kids. She is your daughter through and through. And while she may get her artistic focus from Simon, she surely gets her ability to connect with people, to share her passion and to teach from you. You shall Kvell all you like, as you have every reason to! Love this. It is incredibly hopeful! Thank you Tomasen. I totally agree with you about the importance of providing children with experiences that push them to envision what their life might be like one day. I’ll give you a little example of something that happened years ago. I was teaching kindergarten and in the middle of the year a new boy joined our class. Jimmy was living in Puerto Rico on his grandmother’s farm when a huge hurricane struck the country and destroyed the farm. Jimmy’s family moved to Brooklyn. He was a sweet little boy, eager to join in and make friends. His parents spoke English and Jimmy understood the language. That year we took a trip to the Cooper Hewitt Museum in Manhattan to see an Alexander Calder exhibit. Back at school, the children created mobiles in the art center. They made individual mobiles, if they wanted to. Also a group of children worked on a very large mobile that we hung from the light fixtures. Jimmy was on the young side and in conference with his parents we decided that he would benefit from a second year in kindergarten. The second year he was in the art center, browsing through some art books that I kept there for the children. He jumped up, after looking through one of the books, and very excitedly ran to get me. There was something that I HAD to see, he said. He pointed to a picture in the book and said, “Look. It’s a Sasha! ” (Our museum educator told us that Sasha was Calder’s nickname). This was more than a year after our trip to the museum! Now, skip forward to this year. Jimmy and I have reconnected on Facebook. I haven’t seen him since he was six years old! I reminded him of the Calder story. He completely could not remember the incident. However, he is now a filmmaker. Is there something, somewhere in the recesses of his memory, which connects to that artistic experience? I wonder. What do you think?